When is the last time this device was upgraded? It really needs to be more user friendly. Who’s in charge of innovation up here? Is this available in other colors? 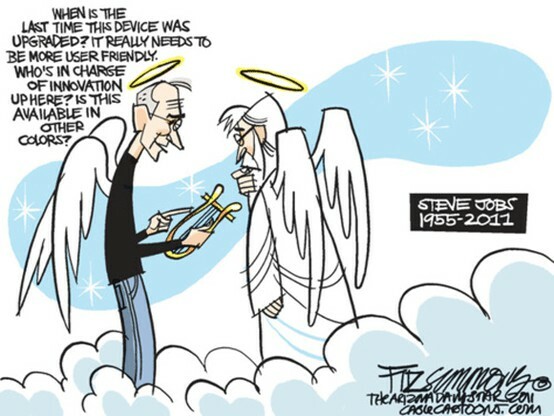 Apparently there are a few cartoons of Steve Jobs going around in regards to him in heaven. Meant as a sweet memory, apparently these are rubbing some people the wrong way – as Steve Jobs was a Buddhist. Heaven or wherever you are – Steve, you will be missed.